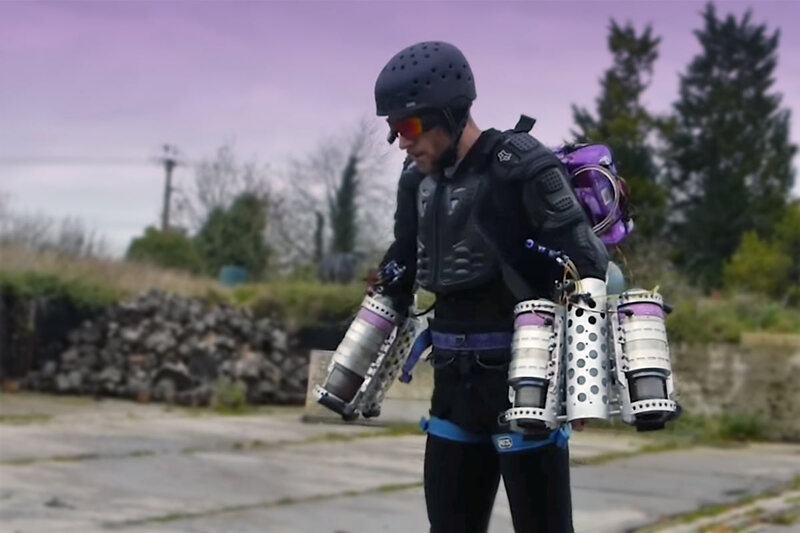 Meet Richard Browning, the British inventor who built his own version of the Iron Man suit. One day in early summer last year, Richard Browning headed to his farmyard in the English countryside. He attached a kerosene-fuelled micro gas turbine – effectively a small version of a plane engine – to each of his arms and legs. Then he carefully pressed the throttle trigger in his right hand. For months Browning had been working on this secret project. Now the moment of truth had arrived. In the modest surroundings of the UK countryside, “Wiltshire’s Iron Man” took to the sky. Sort of.